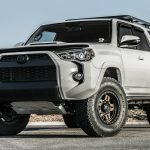 Below you will find an overview of the top 12 rock sliders that every 5th Gen owner should consider. 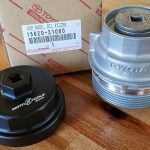 Whether you are an off-road expert whose looking for extra protection or just bought your 4Runner, below is the guide for you. From the cheaper sliders to the more expensive rugged/expensive, there are plenty of options to choose from. 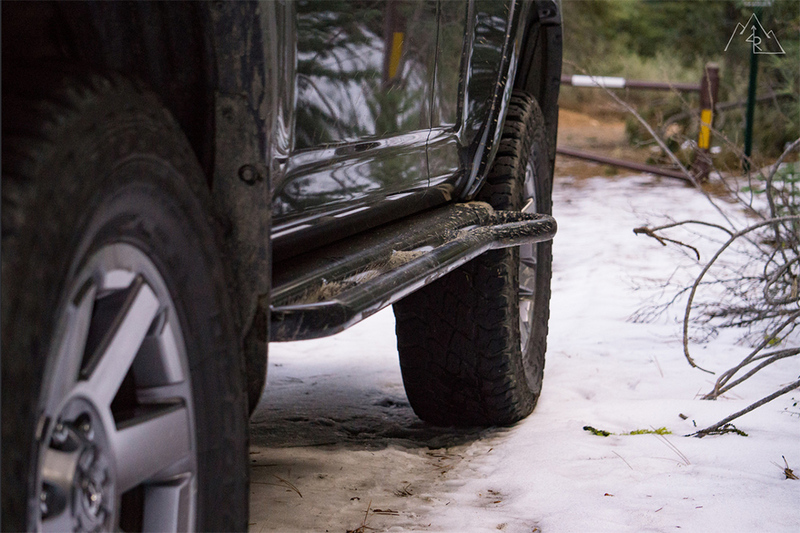 In the off-roading world, rock sliders are something that is considered a must-have. Sliders are steel or aluminum step-protectors that get bolted/welded to your frame. 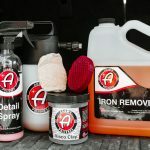 They are used on an off-road vehicle to protect along the rocker panels (the lowest section panel below the door and above your running boards). 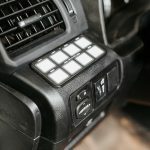 They can also be used as a general step when entering and exiting your vehicle. 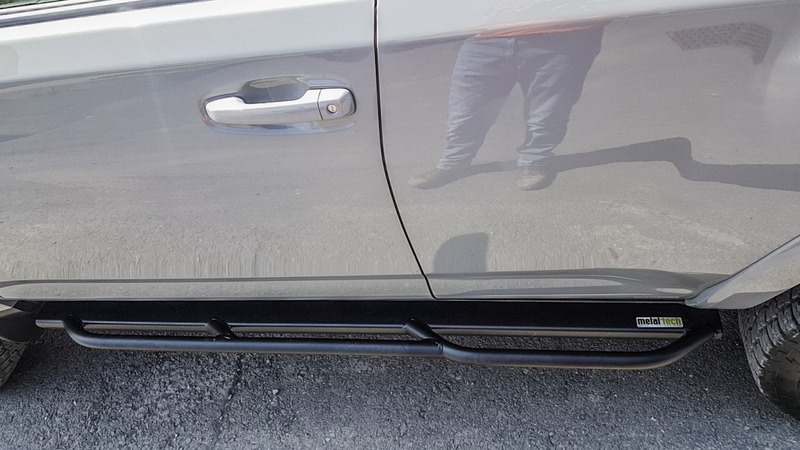 While most sliders are only meant to protect your rocker panels, there are many do sell dual purpose sliders. The name slider comes from it allowing you to “slide” over/through rocks, stumps, and humps. Every scratch or blemish the sliders receive is one less your 4Runner will receive. These provide a step while providing protection as well. 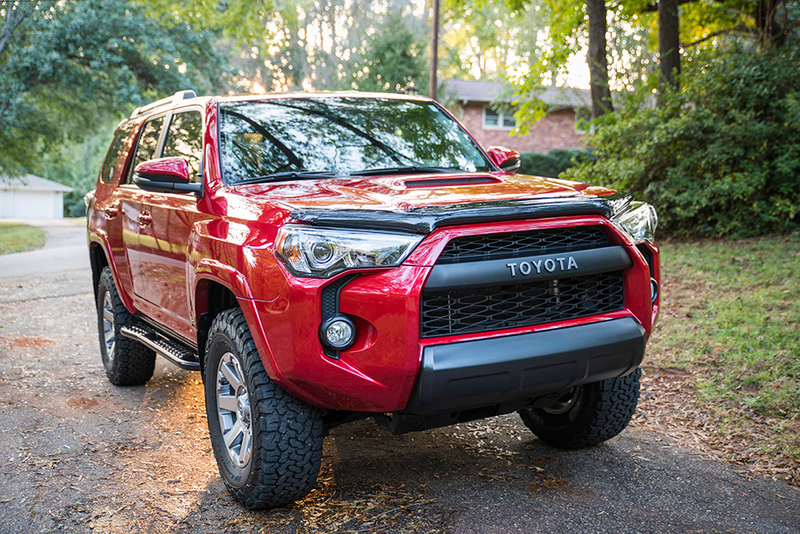 They are great for anyone who uses’s their 4Runner for offroading and daily driving. Also before we get started, you may be asking yourself if you really “need” sliders. That depends on what you do with your 4Runner. Typical slider protection is important for anyone who enjoys rocky terrain and testing their limits. They might not be necessary for those who do not off-road hard though. If you are strictly exploring places on paved roads, sliders are something you will never need. It all depends on what you’re looking for and doing. Looking for a better aftermarket step with minimal protection, nerf bars might be for you. This is not in order from best to worst. This is a general list of common sliders fabrication companies. This is really if you are ballin’ on a budget type of slider. It’s super affordable and will give you the “slider look” without spending $700-$1000+. The N-Fab nerf bars are wheel to wheel steel bars that come in a black textured powder coating. The N-Fab Nerf Bars while not being a true rock slider do offer quite a bit of protection compared to the factory running boards. They bolt to pre-existing running board holes. This is by far the easiest to install bar out there. That may be a good selling point for you if you’re looking for something easily removable. 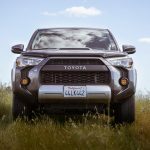 This is also a great thing if you are looking to re-sell your 4Runner in the future. Some people may not prefer the rock sliders you choose or may just not like the look of them. Overall the N-Fab bars are great for anyone who daily drives or trecks around on light-weight trails. Unlike the rest of the sliders on this page, the N-Fab nerf bars bolt directly to factory running board holes, so they are much less sturdy than a slider that bolts to your frame. These can easily snap at the bolts and rip off your rocker panels under extreme force. Because these bars bolt onto your rocker panels and not your frame, this is the cheapest and most underperforming step out there. The C4 Fabrication Rock Sliders are a great choice for a bolt on. Unlink the N-Fab steps, the C4 sliders bolt to your frame instead of your rocker panel factory running board mounting points. This provides a much more bulletproof solution. The C4 Fabrication sliders at their cheapest price are pretty clean and for $125-150 you can bolt on step plates. There are 5 total plate options available with different text options; C4 Fab Text, Trail, Trd, Trd Pro, and no text. Or, you can choose no plates and C4 will ship without plates and without holes for plates. If you want to add plates at a later time, you will need to order the plates and then drill holes yourself into the sliders. The step plates are dimpled so they give traction for standing and clean out easily when driving in mud or snow. The step plates are also removable which make painting easier and allow for multiple different coating options. They also come in two tubing options regular steel tubing and dom tubing both pre-welded. The dom tubing cost’s an additional $89 but is worth it if you’re doing heavy wheeling. Similar to all other rock sliders, they are easily removable so you can take them off if you resale. 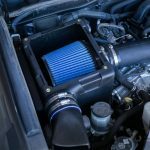 But they can potentially increase your vehicles value due to having increase performance off-road. The C4 sliders are a great choice for those who offroad their daily driven 4R. 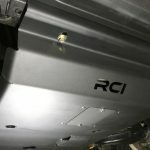 The RCI rock sliders provide a great amount of protection along with a lot of function while looking very clean with a basic design. The RCI sliders while having a basic design are dual functioning sliders. They have an optional full-length tread plate if you decide to use them as a step as well. This is great for a family where your woman or children are jumping in. Also, women with high heels would love these steps and probably hate some other designs. The full-plate design on the RCI sliders is great for a multi-use rock slider/ step. For powder coating, the RCI sliders only have one option, Satin Black. They are designed with 11 gauge DOM tubing with a 1/4″ heavy duty frame mount. While being bolt on their full-length frame mount provides maximum strength, ensuring peak protection for your rocker panels. The full-length frame mount also provides extra strength to your frame. Overall for the RCI sliders are a great addition if you’re looking for a strong yet basic slider that is functional. Metal Tech 4×4 Sliders are another great choice. These sliders come in one option for powder coating. A semi-gloss black/smooth finish. These are the only sliders you can purchase that are powder coated inside and out without a special request. They come with and without kickouts and double as a step, but lack a full tread plate step design like the RCI rock sliders above. The grade of the metal and the diameter while not being listed directly on their site has amazing reviews of being strong and withstanding a lot of wear and tear. These sliders are perfect if you want to do mild to heavy trails but still maintain a clean look. Shrockworks are a bolt-on slider that mounts directly to the frame with a frame plate, like most other rock sliders. 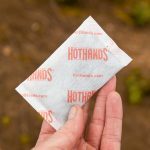 They are made with a 1.75″ outer rounded tube and 2″ square tubes for mounting. The actual frame plates are 1/4″ thick steel so they have a solid mounting base so there not easily torn off like other bolt-on options. The Shrockworks Sliders come in two options. The Two and Three tube options. The two tube option is more of a dual purpose slider that offers a step and protection. The Three tube option is a true slider, That is kept tight against the body so it has a nice sleek look while only providing protection. These sliders come in two powder coat options along with bare steel. The first option is a regular black powder coating. The second option is a textured black powder coating providing you grip. The Shrockworks sliders are going to be the best choice for somebody wanting a bolt on kit that offers a true slider not a step. It provides great protection and won’t tear off easily due to being tight against the body. CBI Rock Sliders are bolt on option like the previously mentioned sliders. These sliders only come in two options for powder coating. You can choose a satin black/smooth finish or to receive them in bare steel. They come with and without kickouts as well. Now a question you may have is “do I need kick outs? “. So to answer that question, the purpose of kick outs is to help kick or push your vehicle out and away from obstacles, Like trees and rocks and even humps as you navigate around or through them. These sliders come in two different options for the tubing. The first option is the standard HREW (Hot Rolled Electrically Welded) tubing but for an additional $100 you can get the DOM (Drawn over Metal) upgraded tubing. The extra $100 may seem like a lot but it is worth it if you decide to do heavy wheeling. Think of it as added insurance because while the HREW is strong (mild wheeling) if it gives it could damage your rocker just the same. The CBI sliders stick out far enough they can be used as steps. Also due to there strength, they can be used as Hi-Lift jack points. In Our opinion, the CBI Rock Sliders are a great choice for anyone who is looking for a capable bolt on slider. Can be Torn off under a lot of force but more rugged than some bolt on sliders. White Knuckle Off Road is another bolt on slider that comes in two different options for the tubing. The first option is the standard HREW but for an additional $40 you can get the DOM upgraded tubing. $40 for the upgraded DOM tubing is worth it any day of the week. Because that extra $40 could save you from $100’s of damage to your rocker panels. White Knuckle Sliders only come with two options for powder coating. You can choose a semi-gloss black/smooth finish or to receive them in bare metal. They are made with a 1.75″ outer rounded tube and 2″ square tubes for main support. The actual frame plates are 3/8″ thick steel so they have a sturdy mounting base that is not easily torn off. These sliders stick out from the body slightly so they can double as a step. They also are able to be used as HI-Lift Jack points. Pelfreybilt filed bankruptcy in 2018 but I wanted to leave the image up for people if they wanted to pull some inspiration form their design. 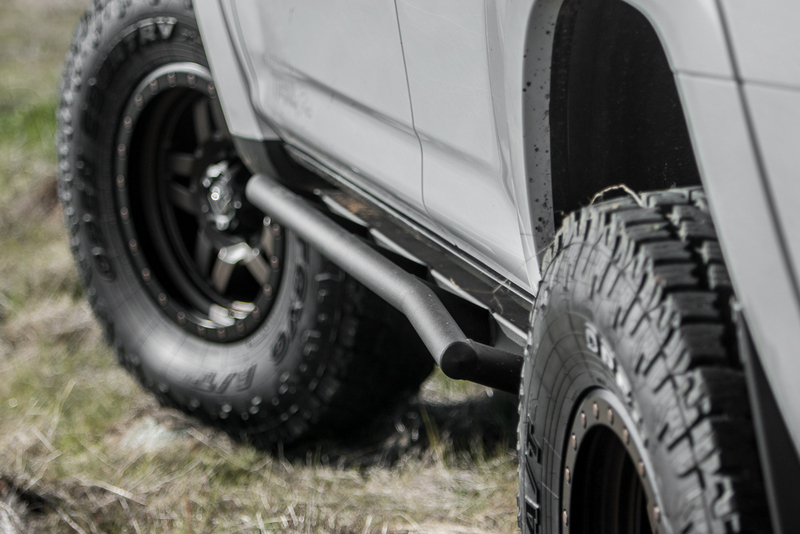 The Hefty Fabworks rock sliders provide ultimate protection and functionality. Every set of sliders are built utilizing a CNC cut, bent and fabricated mounting system, all American top quality steel, 2×2 hitch steel main slider with a 1 3/4″ x .120 wall DOM tubing rub rail with rear kick out and all assembled using a set jig to eliminate human error. The Hefty Fabworks sliders come with an integrated tread plate that gives the sliders not only the strength to add protection while offroading but they double as a step. The tread plates come dimpled like the C4 Fabrication sliders which add traction for standing and clean out easily when driving in mud or snow. They also come with a Kick Out like the previously mentioned CBI Offroad sliders. When it comes to powder coating you can choose either bare steel or a semi-gloss textured black coating. 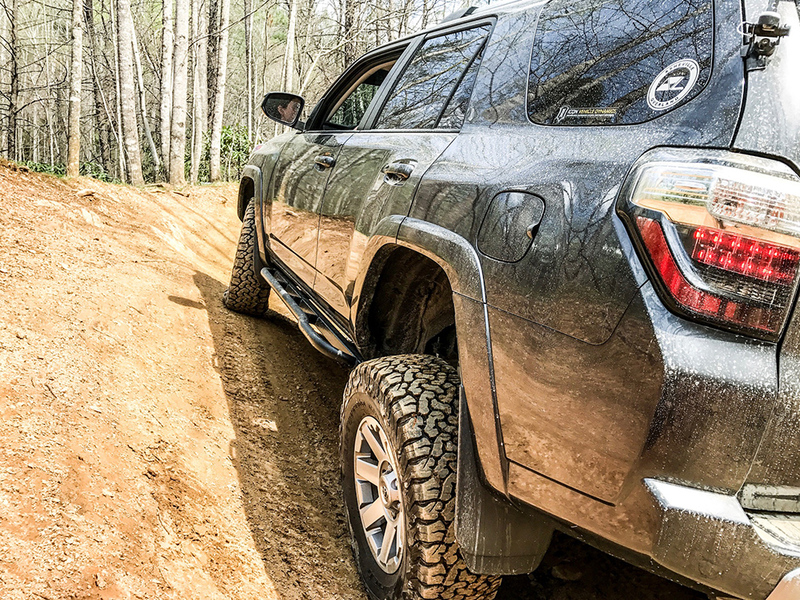 The Hefty Fabworks Sliders are a great choice for your 4Runner due to being so clean, strong, having a kick out, and doubling as a step. Can be Torn off under a lot of force due to being bolt on but more rugged than some bolt-on sliders due to having an overall strong design. The Bud Built rock sliders provide a great amount of protection. 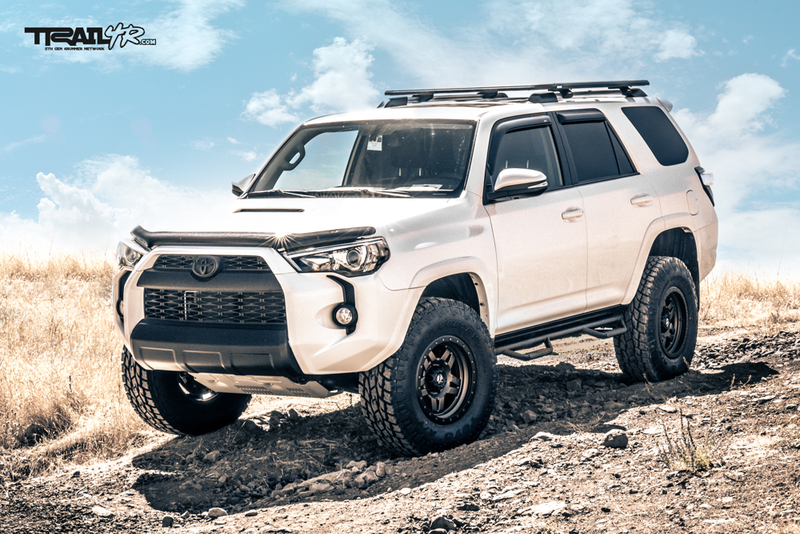 The Bud Built sliders come with an optional full and half tread plate that gives the sliders not more strength to add protection while offroading along with the option of becoming a step for your 4Runner. They also come with a Kick Out option for the beefier sliders like the previously mentioned CBI Offroad sliders and the Hefty Fab Sliders. They even come with a small tubing option and a beefier thicker tubing option. When it comes to powder coating you can choose 6 different options. Bare steel, Black, Red, Yellow, Blue, or you can choose any other color of your choice for the same price. 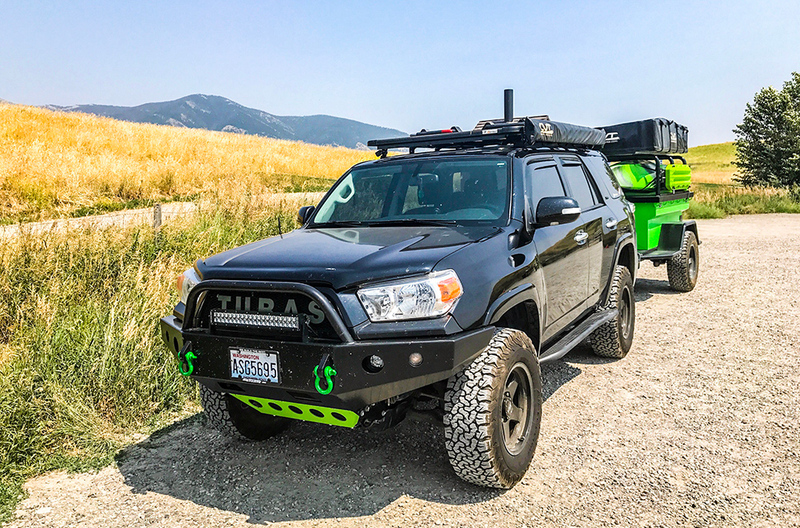 The Bud Built Sliders are a great choice for your 4Runner due to having the options of many powder coat options, optional kickouts, optional tread plates for steps, and the options of kickouts on the beefier version. The OutPost Off-Road sliders provide a great amount of protection. OutPost Off-Roads sliders have been designed to provide the most ground clearance that also provides a kick out to keep your quarter panels dent free. Outpost Off Road sliders are made 100% in the USA using 2x2x.188 box tube with mitered ends as the main slider body, 1.5×1.5x.188 box tube for support legs, custom laser cut mounting feet made out of 1/4″ plate with a gusset that acts as a secondary mount for rock lights. While these sliders may not look the best (no offense) they offer plenty of protection. Then doubling as steps with rock light mounts is a plus as well. These sliders would be great for someone who does moderate to heavy wheeling. 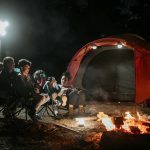 They have the premade light mounts which offer the needed light protection along with the step so what else is there to need for your nightly wheeling adventures. 4×4 Labs as another bolt on option provide one notable difference compared to all of these sliders. 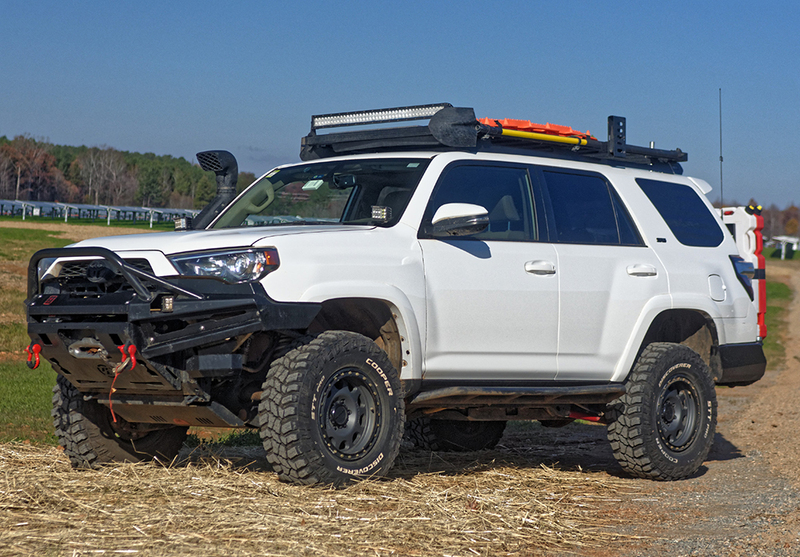 The 4×4 Labs rock sliders feature a “boat style” underside that protects all the way back to the frame adding unmatched protection to the 4Runner’s side (and KDSS systems for those equipped). This “boat style” underside of the sliders will protect from much more than average trail obstacles. 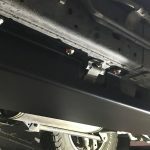 If you are looking for a set of over-performing rock sliders, 4×4 Labs should be highly considered. If you look at these versus others on the market, they are the most built sliders on the market bar none. That’s why they are so expensive (AND HEAVY!). But for some 4Runner owners out there, the protection was well worth the cost. These only come in two options for powder coating. You can choose a semi-gloss black/smooth finish or to receive them in bare steel. They come with and without kickouts as well. These sliders stick out far enough they can be used as a small step for your 4Runner which is nice. The reason that is nice is that it can be used as a dual purpose slider but it is tucked in much further than your average slider. These Sliders are meant to handle the weight of the body so they can be used as jack points for your HI-Lift jack. The Price on these sliders we feel is pretty killer though even for DOM Tubing. The quality overall is very good but compared to most other sliders this option is at the end of the list due to price. Its design overall is sleek and looks great though. 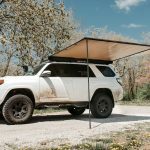 So if your going to a great design and functionality/protection the 4×4 Labs Rock Slider is for you. Which sliders are for you? Our conclusion to this article is that overall every one of these has great benefits while some do not. 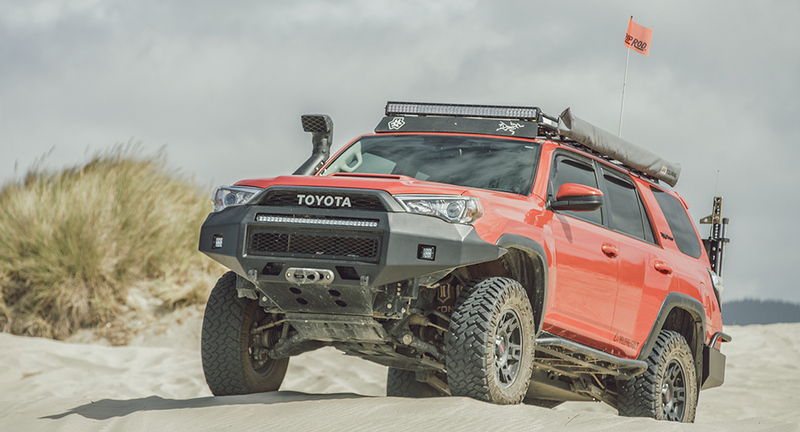 The sliders you choose is based on what you are looking for and the type of offroading you do or plan to do in your 4Runner. There are many factors when choosing the style, functionality, color options, and most of all protection. We hope this guide helps you choose the perfect sliders for your wheeling adventures. Please let us know your thoughts by leaving a comment below. What sliders are you running and what do like about them? I could honestly sit here for hours and hours and read every blog, post, or video on Instagram and never get bored. 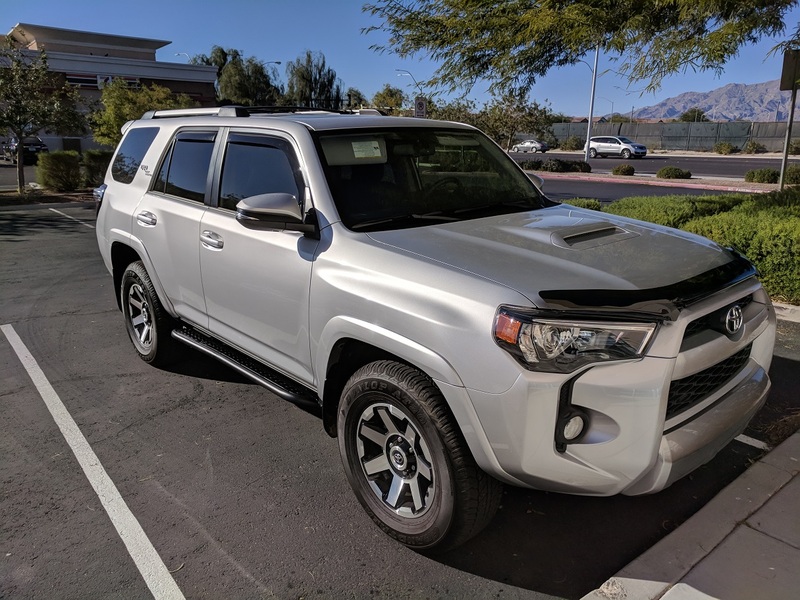 Your content is one of a kind and even me owning 3rd gen 4runner, reading some of your stuff has inspired and helped me decide what I want to do with mine later on down the road. Thanks for all you do! Thanks, man – I appreciate it! thoughts re: Rocky Road sliders/super sliders? Yeah, the Rocky Road Rock Sliders and Super Sliders look pretty nice. I have seen that website before but have not seen too many guys out there with them installed or maybe I just didn’t notice them. They look like a good option to me. I’ve been thinking about the Rocky Road sliders for my 5th gen 4r. I’ve checked out so many different sliders I can’t decide. I live in CO. I’ve looked into Shrockworks, but the wait time. Great site! Thanks so much for all this valuable information. 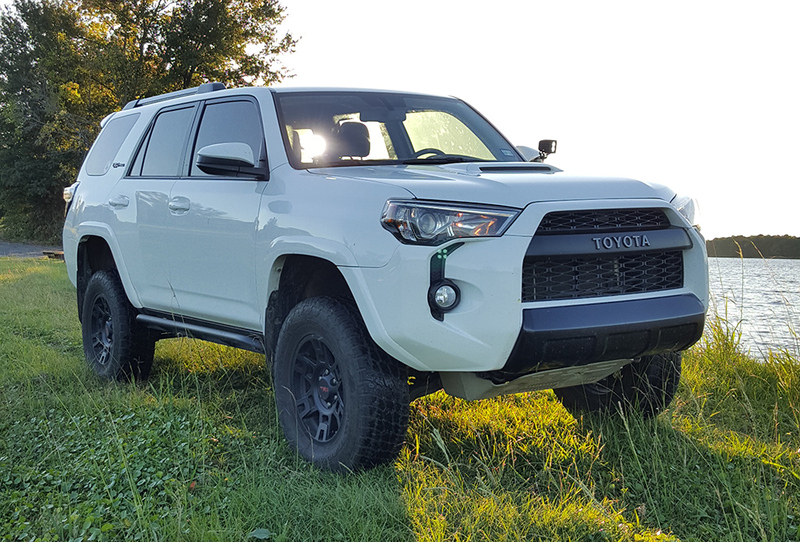 Curious what everyone thinks of these aluminum side steps by a company out of Canada called Green Lane: http://greenlaneoffroad.com/14-4runner/6edd8rl1x52h6s5dcbyx42ofi0u1rw. Having a hard time picking one for my TRD Off Road Premium. I think they should clean up their URLs. They look nice. 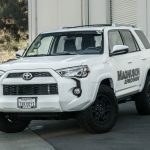 Steel is obviously going to perform better than aluminum options like this off-road but if you are just going for looks, then aluminum is great. Not to say that aluminum doesn’t perform, steel is just beefier and will take hits and abuse better. Just received mine in the mail. Bolting them up this weekend. I don’t do any serious wheeling and wanted to save some weight with the aluminum. I think they do great machine work and I dig their design. They’ve got a rock slider look to them with a functional step. No rusting either. I’ll let you know how it goes. How about adding Southern Style Offroad sliders to the list? Great website. Glad I found it. I was surprised that you didn’t mention or slow SSO sliders as Kevin also indicated. I just installed (bolted on) the SSO sliders on my ’16 SR5 and they went on quite easily. Hope you add these to your list. Yeah, they are nice sliders. We need to add those to the list among a few others. Thanks Bill! Glad to hear….if you need pics, let me know. Thanks Brian, I took them off. This was back when we were still adding prices. Now we just link to the source. Really enjoy the site. Are the Shrockworks now using the factory bolt/hole locations? All I can ever find is conversations about the SW requiring holes to be drilled in the frame. Any insight is appreciated. Thanks! Great article, Brenan. Great site. I really appreciate you putting this together on rock sliders. Its my next up item. I’m with Dan on this one. Rocky Road Outfitters super sliders look amazing. Dan thanks for adding them to the thread and getting them to my radar. I’m torn between C4Fab, CBI, Rocky Road Outfitters and Shrockworks. They all look great! I keep going back to the angled tube design (no plates) that work best with KDSS. Still trying to determine the best of the bunch.